Every other year, Theatr Iolo invite Welsh and Wales based writers to surprise us, inspire us and inundate us with your stories for the stage for young people. Whether it is for three year olds, for teenagers or somewhere in between and whether it is in English or Welsh (or both) as long as it is for a maximum of four actors we will want to hear from you. 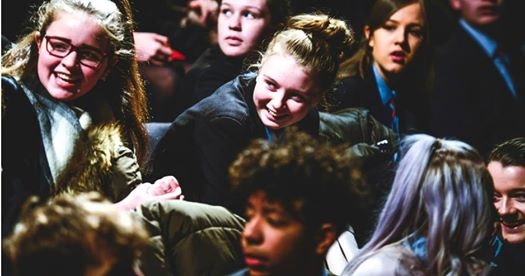 We would like to encourage new and established writers to explore writing more theatre for young people and we would like to meet or re-meet writers across Wales. We would like to create the opportunity to get to know you and for you to get to know us. If you have an idea for a new play, write the synopsis and the first two scenes and send them in for us to read. If you already have something complete we will also accept full scripts plus a synopsis. We particularly encourage submissions from female writers and those identifying themselves as having protected characteristics. Please note we can only accept electronic submissions and we will be unable to give feedback on all submissions. We are not currently accepting new submissions until late 2019, when the deadline will be 1 January 2020. We will read all scripts and synopses we receive. We will select a minimum of four scripts to have a public rehearsed reading. The last call out in 2018 will now have a rehearsed reading in early 2019, with the new works being directed by Lee Lyford. We will identify writers who we think we can help develop their work and/or commission for future production.